Bo Dean wowed the crowd at S.L.U.M. Fest 2016. In a 2011 interview with Riverfront Times, S.L.U.M. Fest co-founder John Harrington was concise when asked about his goals for the then-fledgling festival. "In the long-term, I'd like to grow it out to a three- or four-day event, with panel discussions and guest speakers, something people come from all over to see," he said. "Something like a Scribble Jam or SXSW, but here in St. Louis." In its seventh iteration this June, the St. Louis Underground Music Festival moved closer to that goal than ever, with the festivities stretched to cover an entire weekend. 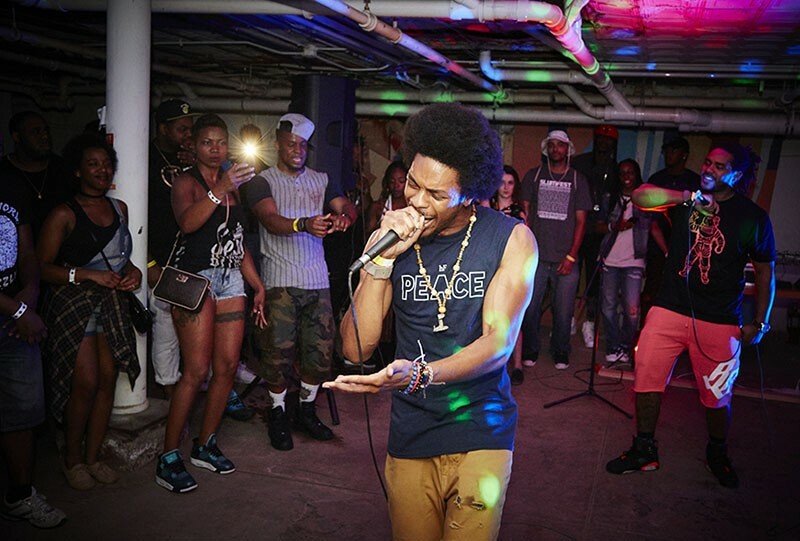 Friday brought a pre-party at Cicero's; Sunday saw an "Artist Appreciation Day" cookout at Blank Space. Saturday's twelve hours of hip-hop was the main event, with more than 70 performers filling 2720's stages with music all day long. Since getting its start as a local hip-hop showcase in 2010, S.L.U.M. Fest has continuously grown, now including out-of-town artists on its roster and even adding a second annual event, the S.L.U.M. Fest Hip-Hop Awards, to the calendar. S.L.U.M. Fest isn't just about the emcees and deejays, though — as was the case with Cincinnati's much-missed Scribble Jam festival, the event's organizers recognize that hip-hop comprises four elements, with breakdancers and graffiti artists performing and competing as well. At this point the festival is truly the largest of its kind in the entire Midwest, a who's-who of local and regional underground acts — and it has nowhere to go but up.